16 year old Jonah lives in the beautiful Southern Highlands of NSW. Jonah came through The Shepherd Centre as a child and is now thriving at high school undertaking year 10 studies. Jonah was also the Master of Ceremonies for the opening of our Newtown centre. When I was born, the midwife noticed that I had a white patch in my hair. She knew this was sometimes linked to a syndrome that has hearing and vision loss associated, and told my parents when I was only two hours old. Newborn screening hadn’t become mandatory at that time but my parents insisted on getting my hearing tested anyway. I was diagnosed with bilateral profound hearing loss which means I can’t hear out of either of my ears. I received my first hearing aids by six weeks of age and my family are still friends with the midwife. I went to the Alexandria Shepherd Centre from 2006 until 2008 for speech and language therapy. The Shepherd Centre has helped me to develop confidence to communicate in a hearing world. They helped me to be proud of my achievements and not ashamed of my disability. They also taught my parents how to work with me to me develop speech and language skills and always encouraged me to work hard at being a good listener. The Shepherd Centre has hooked me up with the latest and coolest Cochlear devices that give me the best possible hearing in all situations, and they have helped me through my journey in growing up as a deaf person in a hearing world. The Shepherd Centre has had a big impact on my life, helping me to grow in confidence and to embrace new experiences. Through public speaking opportunities with The Shepherd Centre, I have developed strong communication skills which have helped me not only in school, but will also help me in future employment opportunities. Thanks to The Shepherd Centre I can communicate confidently with people of all ages and backgrounds and I am certain that my hearing loss will not hinder my career choice in any way. To me personally, The Shepherd Centre has been a very valuable part of my journey and has given me the tools I need to work towards achieving my goals. I’m so blessed to be given the ability to hear and speak. Although I could get a cochlear implant through many other means, if it hadn’t been for the support of The Shepherd Centre I wouldn’t have had the skills and confidence to get the best benefit from my hearing. They have taught me so much and I can’t imagine life without access to the support of so many amazing people. Without access to sound and early intervention, I wouldn’t be able to go to my current school and easily make friends. I wouldn’t be able to speak with my brother, parents and family and hear their voices. I wouldn’t be able to play regular sports, or listen to music. The list goes on. Without the ability to hear I would’ve missed so much and I really can’t imagine it because I have never known anything different. It’s pretty cool to have cochlear implants because I can sleep very well at night. My friends are always curious about how they work and even what they are. It’s funny actually, because when they ask questions they assume the implants are stuck to my head, so when I take them off to show them, they look really startled and worried until I reassure them that they are hanging onto my head with magnets. 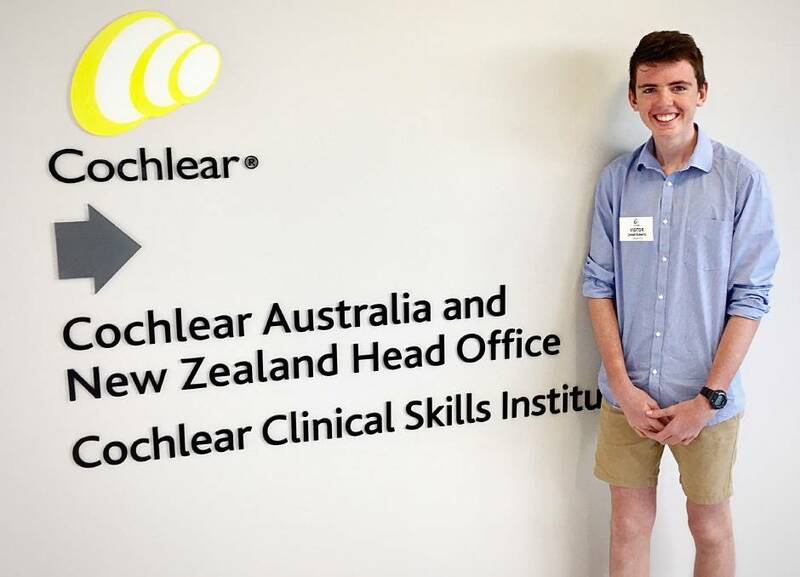 If I didn’t have support from The Shepherd Centre I would have missed out on so many things, like meeting the former Prime Minister Mr Tony Abbott, winning first place at the 2014 inaugural Power of Speech Awards and having my photo and speech on the wall at Cochlear Limited HQ. Best of all, I love being able to hear nature around me. I think that because I have cochlear implants and had such fantastic early intervention, people often forget that I am even deaf. It’s pretty funny when I take my processors off to swim or at a sleepover and my friends keep talking to me like I can hear them… then I say, ‘Bro I’m deaf! I can’t hear you.’ They always seem astounded and it makes me laugh. I actually don’t think there are any disadvantages to having cochlear implants. In fact, if I was given the opportunity to get natural hearing, I would decline it. When Jonah completes school he hopes to study Medicine and pursue a career in the medical field.